MONDAY, May 21, 2012 (Health.com) — The proportion of U.S. adolescents with diabetes or borderline diabetes has jumped dramatically since the late 1990s, raising the possibility that this generation of young people may face high rates of heart disease and other complications as adults. As of 2008, 23% of adolescents between the ages of 12 and 19 had diabetes or the precursor condition known as prediabetes, up from just 9% in 1999, according to a new analysis of national survey data from the Centers for Disease Control and Prevention (CDC). By contrast, the rate of obesity—a leading cause of type 2 diabetes in this age group—was largely flat over the same time period, as previous CDC reports have shown. Thirty-four percent of adolescents were overweight or obese in 2008, compared to 33% in 1999. Likewise, rates of other risk factors for heart disease, such as high blood pressure (14%) and high LDL cholesterol (22%), also known as bad cholesterol, remained high but largely unchanged from the previous decade. The fact that diabetes and prediabetes were the only measures to increase sharply suggests the spike should be "interpreted with caution," the researchers say. As the study notes, they identified diabetes and prediabetes using a one-time blood test (known as a fasting glucose test) that can provide a less than accurate picture of average blood-sugar levels, especially in children. Is It Baby Fat—or Obesity? Despite this caveat the findings are concerning, and they underscore the importance of screening children and teenagers for obesity, and referring them to specialized care if needed, says lead researcher Ashleigh May, Ph.D., an epidemiologist with the CDC's division of nutrition, physical activity, and obesity. "Pediatricians and other healthcare providers who work with adolescents need to be aware of, and follow through with, screening guidelines and recommendations for obesity and also other cardiovascular risk factors, and suggest appropriate behavioral interventions," May says. Heart attacks, strokes, and other forms of full-blown cardiovascular disease are extremely rare in adolescents, but there is some evidence that diabetes, high blood pressure, and unhealthy cholesterol levels can cause lasting damage in this age group, says Elaine M. Urbina, M.D., director of preventive cardiology at Cincinnati Children's Hospital Medical Center. "Even at borderline-high levels of blood pressure and cholesterol, and especially with multiple risk factors, you're probably getting some…organ damage already," says Urbina, who was not involved in the research. Hardening of the arteries (atherosclerosis) may also result, she adds. The new analysis, which appears in the June issue of the journal Pediatrics, included a nationally representative sample of 3,383 adolescents who participated in the National Health and Nutrition Examination Survey (NHANES), a biannual survey conducted by the CDC. Each participant was interviewed and underwent a comprehensive physical examination. Not surprisingly, the researchers found a clear relationship between the adolescents' body mass index (BMI) and their likelihood of having risk factors for cardiovascular disease. Forty-nine percent and 61% of overweight and obese adolescents, respectively, had at least one risk factor, compared to just 37% of normal-weight kids. Boys were more likely than girls to have risk factors, as were older adolescents versus younger ones. The researchers did not find any variations by race or ethnicity. In a bit of good news, the study confirmed earlier research that the childhood obesity rate appears to be leveling off after several decades of increases. 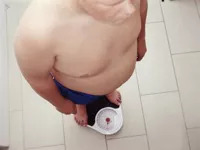 The improvement in obesity trends may explain why blood pressure and LDL cholesterol levels appear to have plateaued as well, May and her colleagues say.